Taking place in early September, a select number of Leengate Valves� management team had the pleasure of attending Ghibson�s Open Day event in Bologna, Italy. Boasting the oldest university in the world, and with a rich history in Italian cuisine, our team reportedly had a wonderful 3 days in Bologna networking and attending Ghibson�s conference where they learned more about the latest Ghibson offerings to the market. One of their latest offerings, the BCKI series butterfly check valve (pictured,) is said to bring strong competition to the conventional SDNR globe valve; with a view to becoming a total replacement for the need for traditional SDNR globes in the future. The design of the BCKI series of butterfly check valves is said to vastly increase operational safety, simplify the transition from manual operation to pneumatic or electric automation and even offer cost benefits against traditional SDNR globe valves. Also arriving to the market is the HC series double eccentric butterfly valve (also pictured.) Specially designed for the chemical industry, the HC series valve has zero leakage up to 25 bar between flanges and 10 bar in both directions when used end of line; it�s TA-Luft approved and boasts exceptional reliability, safety and flexibility for its users. Leengate Valves are keen to embrace these two new offerings, as well as offering a continued commitment to supply Ghibson�s already popular ranges in the UK, with the addition of reliable technical support that�s second to none. �We work with a lot of different manufacturers in Europe and Asia and whenever they launch new ranges we�re always keen to support them and to keep our loyal customers in the loop. 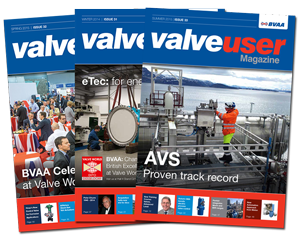 We want our customers to know that any products that they need are always available via Leengate Valves; whether that�s a valve that�s been on the market for 40 years or a newly introduced innovation� said Sales Director, Mick. 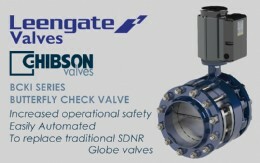 Leengate Valves have now been offering Ghibson products in the UK for over a decade and their continued commitment to growth will surely see even more new products and innovations arriving over the coming years. 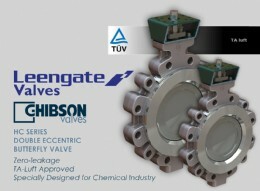 If you�d like to hear more about the Ghibson range of butterfly and check valves, or need help sourcing a valve, contact Leengate Valves� experienced technical team for help on (0044) 1773 521 555 or email info@leengatevalves.co.uk.